Lumphat Wildlife Sanctuary is situated 37km. south of Banlung. With a total land area of 250,000 ha. there are special kinds of animals and birds like tigers, elephants, red-headed vultures.Lumphat Wildlife Sanctuary, Ratanakiri is one of the must-see places in the colorful Cambodia. 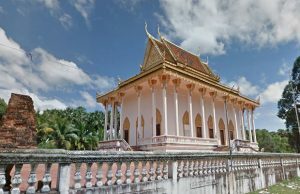 The province of Ratanakiri is located in the northeastern part of the country. 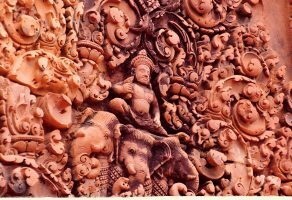 The word Ratanakiri is derived from the Sanskrit words Ratna and Giri, which combine to mean a mountain of gems . Countless tourists throng this place every year to experience and enjoy the rich wildlife, ecotourism prospects and remote tribal villages. If you want to tour this province extensively, make it a point to include Lumphat Wildlife Sanctuary, Ratanakiri in your itinerary. Lumphat Wildlife Sanctuary is one of the most popular tourist attractions in Ratanakiri. Lumphat Wildlife Sanctuary in Ratanakiri is located 37 kilometers southwest of the provincial capital, Banlung. The total land area of this sanctuary is 250,000 hectares. Travelers are fascinated at the various sights and sounds of the exotic place. If you are lucky, you can have a glimpse of the special kinds of animals that are present here, like tigers, elephants and red-headed vultures. Lumphat Wildlife Sanctuary, Ratanakiri is so large that it overlaps the neighboring provinces of Mondolkiri and Stung Treng. Generally you will find here the same types of animals as are present in Virachey. But there are a few additional attractions like the endangered and rare species. Included among these is the wild ox, Ko Prey. There are also projects on Lumphat Wildlife Sanctuary, Ratanakiri, done by the WWF (World Wildlife Fund). Based on the reports of these projects, the management is planning to promote ecotourism of this place. Plans are also being undertaken to develop the sanctuary with good access and modern visitor facilities. Lumphat Wildlife Sanctuary is the part of Mondulkiri wildlife sanctuary, is one of Cambodia?s natural wonders. Located in the northwestern provincials of Mondulkiri and Ratanakiri province. It has an area 2,225 kilometer squares, the area has been charming tourists with its picturesque forests and tranquil surroundings. It's also a haven for a wide range of wildlife, including some endangered speciesLumphat Wildlife Sanctuary contains range of mountains, a mix of forests and lowlands. This is interspersed with prairies, ponds and water channels from Tonle Sre Pok River. It provides ideal shelter for large mammals such as elephants, bantengs, gaurs, tigers, and wildlife buffalos, as well as bears, bovid and other smaller carnivores and primates. 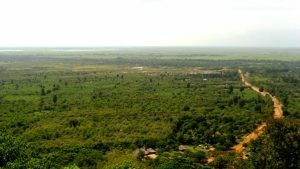 Tourists wishing to visit Lumphat should contact the park's ranger-guides of Phnom Prik national park. They will guide them around the site if visitors want to see more, they can camp here for up to one week. It gives them the time to enjoy the area's natural beauty. 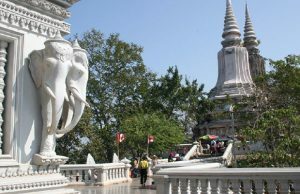 Visitors can also trekking by riding elephants, a facility offered by the Phnorng minority. Hiring an elephant and handler costs around $15-25 per day.